Thanks, mclark. It looks better in the photos than close up! I have the Suncourt fan already, but the ipower unit looks like a really good deal. 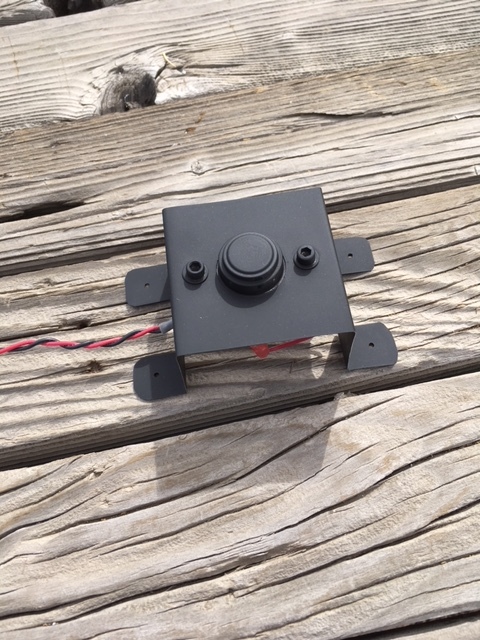 I like the mounting bracket better too - a lot simpler. if I ever upgrade to 8 inch duct (tear apart the soffit again), I will need a new blower too. I assume they have a similar 8 inch model, so I'll definitely keep that in mind. Not sure where Harvey Park is, but it can't be far; I'm just in Aurora, near Tower and I70. Don C.
I also mounted a weatherproof PVC J-box on the back of the collector, directly behind where the snap disc will go. Any update on how well the improvements worked out? Imidgitd, regarding improvements, you may be referring to the repairs I made to the 2x16 ZP earlier. 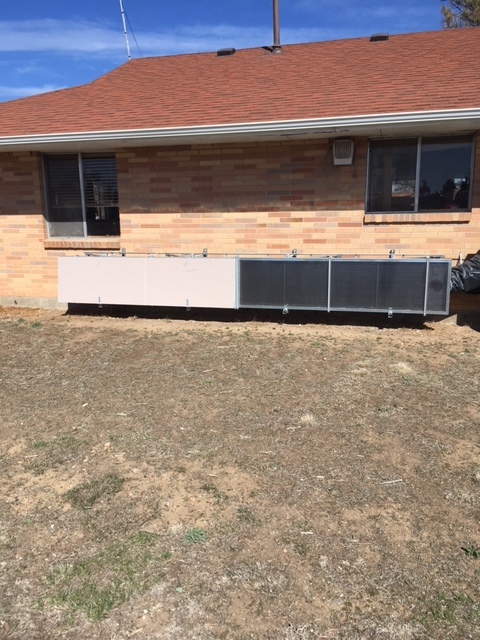 That unit has been working quite well, no overheating, paint breakdown, or problems with unwanted odors. I set the room thermostat (part of the fan control loop) way high so it will never shut off the fan; now the fan runs solely under control of the snap disc. I should probably remove the thermostat from the circuit, just haven't gotten around to it yet. Back to the project of this thread, the 4x8 turnaround ZP - I have reluctantly set this project aside, and may abandon it altogether. When I painted the interior, I thought the paint seemed kind of thick, but it was a brand new can, so I kept going. After a few hours, however, the paint had dripped down the vertical surfaces and pooled a bit in the corners. After a couple days, it still felt like tar. By now I was kicking myself for trying to save a few bucks by not spray-painting. Anyway, I tried to clean it out with Acetone. I got most of it out, but I think some of the paint/acetone solution ran into the cracks where the polyiso boards meet. After 3 weeks of setting it out in the sun, I can still smell it (more than I feel is safe). Yesterday, I put the whole thing in a storage trailer out in the yard - got tired of looking at it and feeling bad. So what's next? I have some more ideas I want to try out, and am planning another design - probably a 4x10 one-way ZP with DC fans running off a PV panel + voltage regulator. Evaluating whether to put the fans physically inside the collector, or mount to the back panel with a deflector directing airflow into the ZP channel. Trying to keep it light weight so I can move it around. I have an idea for screen frames made out of 1 5/8 stud 'nested' into 1 5/8 stud track, sort of a 'hollow' 1x2. I'll post some more in the Construction and Parts section once I have a legible drawing and a small prototype screen. Meanwhile, I'll keep the 4x8 turnaround on the back burner. Someone may have an idea how to rescue it. As long as you have the ability to quickly and simply cover your 4 ZP sections separately, would you try opening and closing different panels, such as 1&3 or 1&4, etc. I'm thinking it might be a different temperature result worth noting. As you have it now, with only sections 3&4 open, no heating would take place until the air gets to the 3rd section. Whereas if you opened section #1 and either section 3or4, the air will have been heated somewhat before it gets to the next open section. I would expect a different result than having two consecutive sections open. 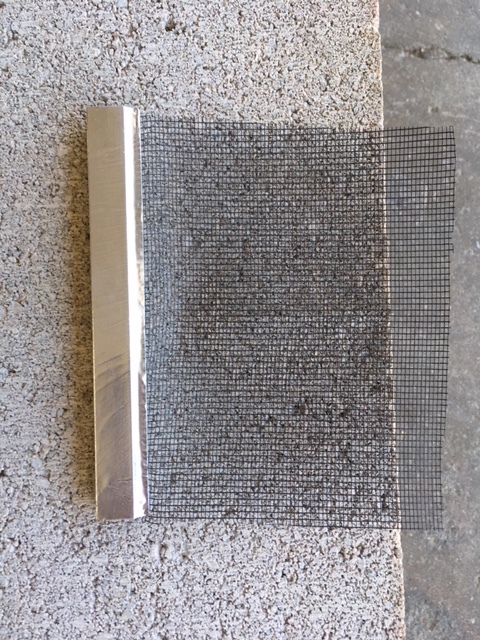 Have you tested a piece of spline in a scrap of screen frame covered and sealed by foil tape? While it will likely harden, it should still hold the screen just fine. But will it seal off any outgassing. Consider using the 4x8 box you have already built as a test box. 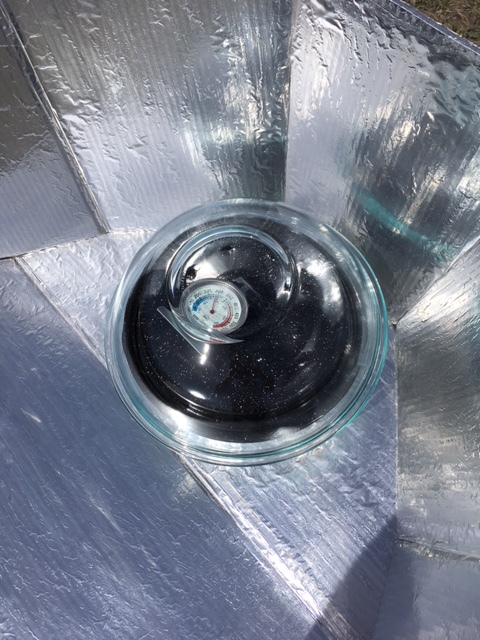 You could test out the PV powered unit before you fully implement the build. You could also work out any issues with a new screen frame. 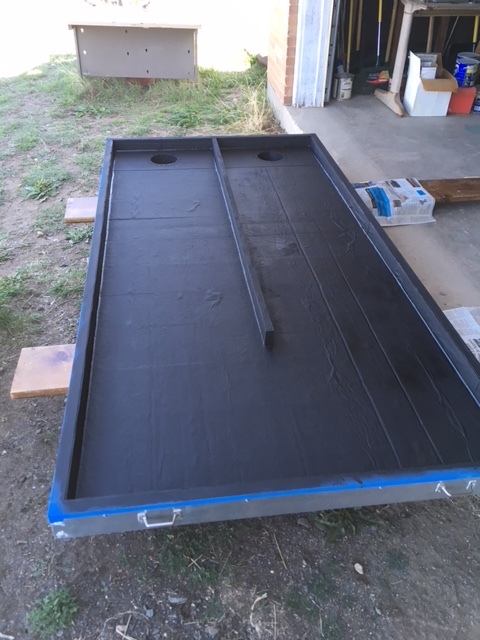 I built a 4x8 box last year out of nothing more than polyiso just for testing. A few scraps of wood can be fastened for attachment points. Greg, that's an interesting idea to 'tune' the heat output by selectively covering portions of the collector. Unfortunately, my covers (and the collector too) have only 2 sections. My current options are limited to fully covered, fully uncovered, or uncovering the output section. I haven't tried uncovering only the input section; I'm kind of hesitant to do that, since the snap disc is at the output. Seems if I shielded the snap disc but left the input half exposed to sun, it could overheat before the fan turned on, if it ever turned on. A 4-section cover would give you more flexibility, but I think I would still expose the part with the snap disc first. By the way, half-covered operation has proved useful on days where you want some heat but not too much in early to mid-afternoon, which is common this time of year. The collector cycles on and off occasionally, and the heat feels 'softer'. Maybe you could have covers with overlapping sliding sections or a hinge in the middle. I would need more support arms to break up what I have now and still hinge everything from the bottom. Have to think on this for the next collector! I forgot to mention before that I was already considering covering the spline with foil tape. I thought you said Krautman Craig used that technique on his Gen 2 ZP. I will have to run another test like you describe. 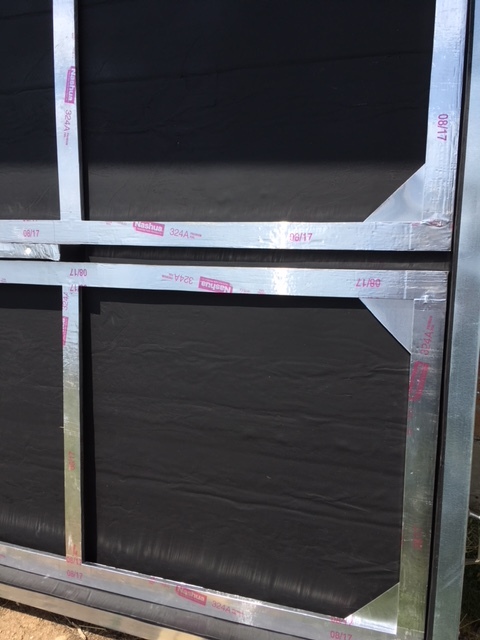 The pre-fab screen frames do have a lot of useful attributes. I was all set to pull the trigger on the screen materials when I ran into the paint problem. 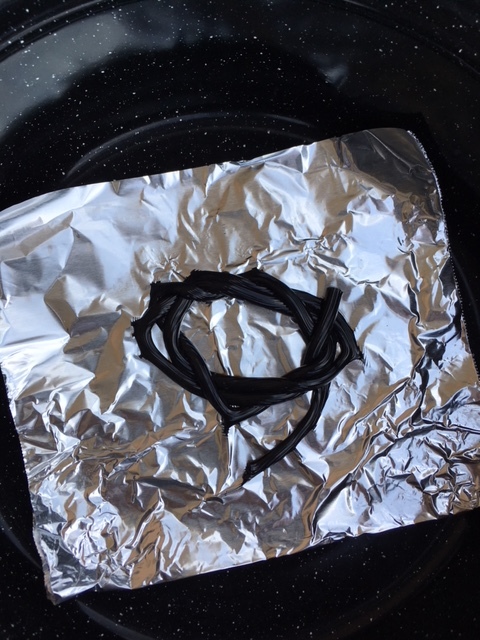 Also forgot to mention that the 'cooked' spline didn't emit any noxious smells, even after I abused it in the cooker. This was a surprise. 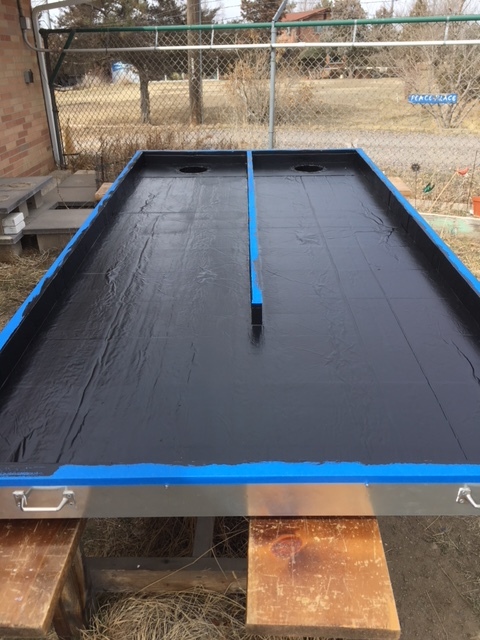 When I tested the EPDM weatherstripping and foam tape in similar fashion, they stunk pretty bad. 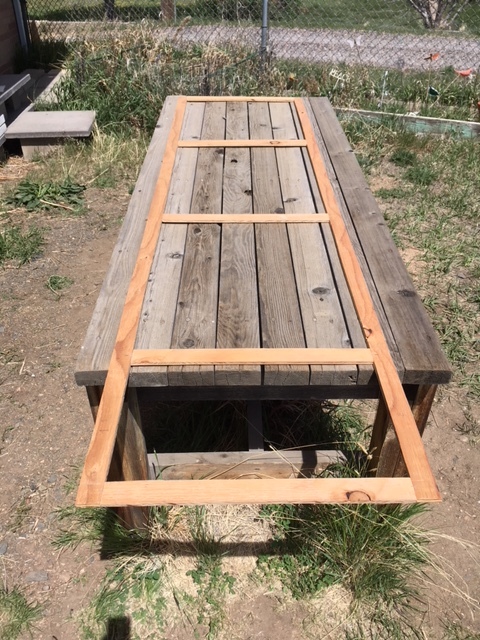 -Visit the paint desk at Home Depot during the day when you are likely to find a full time knowledgeable expert (no offense to the part-timers as both my sons and their wives worked at HD during their college years) and explain your problem. 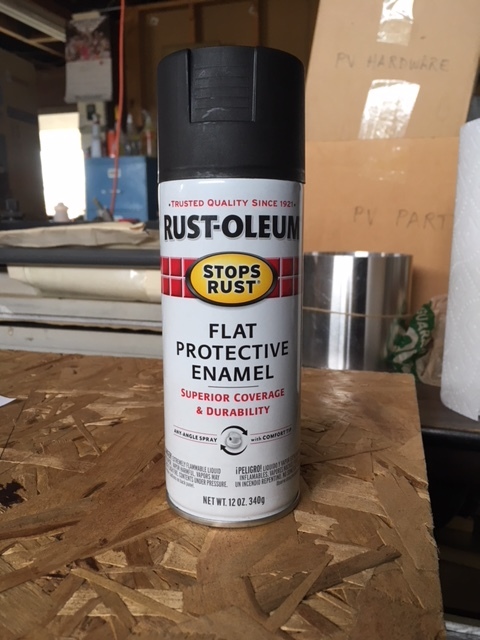 -Write or email to Rustoleum customer service and ask for guidance. -Visit a professional paint store like Sherwin-Williams and talk to a pro about your problem...it may be expensive to fix, but they know their stuff. There are all sorts of paint treatments and special potions that professionals use. If you know an old painter who may have access to some of them, I am sure he would love to demonstrate his knowledge to fix your problem. Once challenge you will face is that some of the solutions to recovering the material is that your use of heat will be limited by all that insulation. Or, use it as a test box for a couple of years...it will cure eventually...maybe ;-) good luck and thanks for sharing! Bruce, Thank you for the suggestions. As you say, it may not be a total loss (yet). The paint that's still there is bonded pretty well; it's the stuff that I can't see, inside the corners, that I am most concerned about. 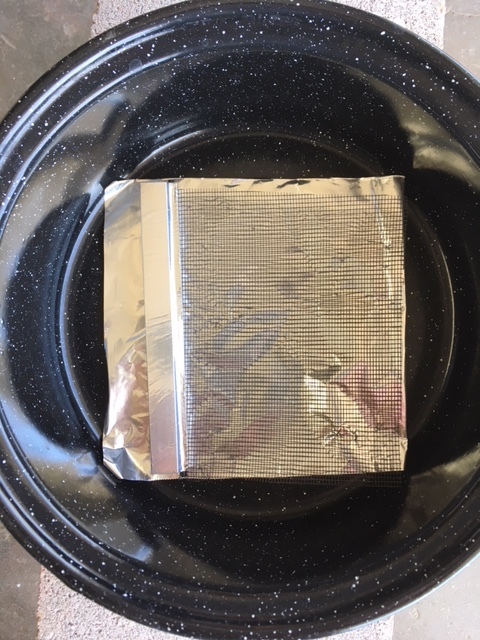 I have thought about sealing all the inside corners with silicone or foil tape, or even lining the whole interior with aluminum foil. if I can isolate the inside volume from the frame/insulation, it may still be usable. 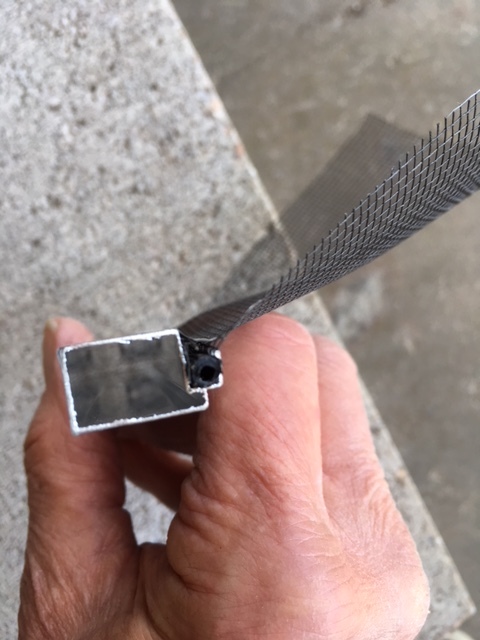 I think first thing to do is run another heat test with a piece of screen frame with screen and spline installed and foil tape covering the spline. That may let me know if I can build the screens with standard spline or if I need to find something else. It was hard to get the screen smooth and tight with what I used last time (sisal rope). Jute would probably work better (strands are more uniform), but so far I haven't been able to find the right thickness. 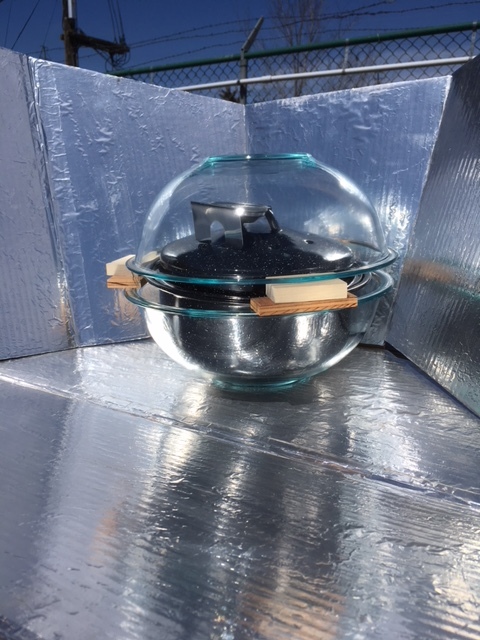 I followed up on Greg's suggestion and heat-tested a sample screen assembly in a solar cooker. I'm glad I did, because the screen remained tight after being heated to 270F, and I didn't really notice any outgassing smell; it mostly just smelled 'hot'. I tugged hard on the screen, and it didn't budge. 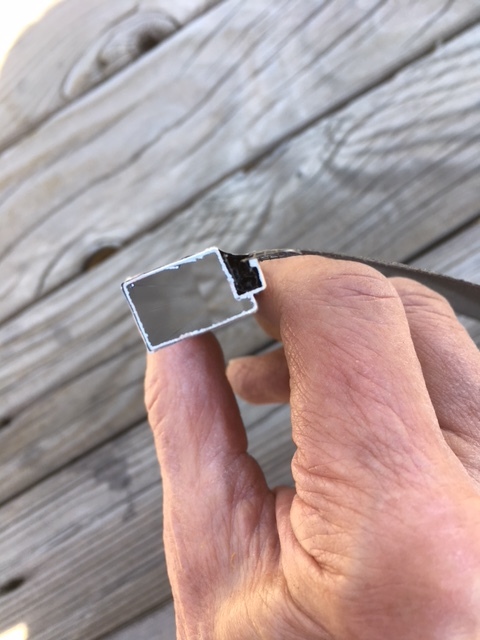 Looking at the end, the spline was no longer round, but had molded itself to the inside of the groove and even to the individual strands of the screen (sorry, the light wasn't too good in this photo). The spline was hard, like in the earlier test, but the way it had hardened 'in place' seemed to make it hold the screen even tighter. I peeled back some of the tape and tried to pull the spline out by pulling on the screen. Not a chance - I think the screen would tear before it pulled the spline out. Still don't know what would happen if the temperature only went up to 'warm', say 125 to 150F, more like what you might see in normal operation rather than worst-case stagnation temperature. 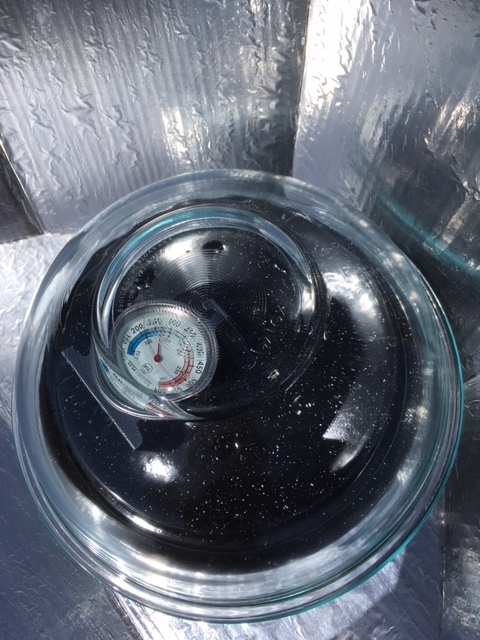 Also don't know if there would be more smell with a full-size screen (the sample was only 6 inches) I may test again with just the cook pot and greenhouse enclosure without the reflector. Overall, I'm encouraged that the pre-fab aluminum screen frames are still a good solution. In the middle of all this, I put together an alternative prototype screen frame made from 1 5/8 inch stud and track. This work is described in a separate post in the Construction and Parts section. It's been dry lately, so I left it outside for 4 days to dry. Weather's going to turn tonight so I brought it in. 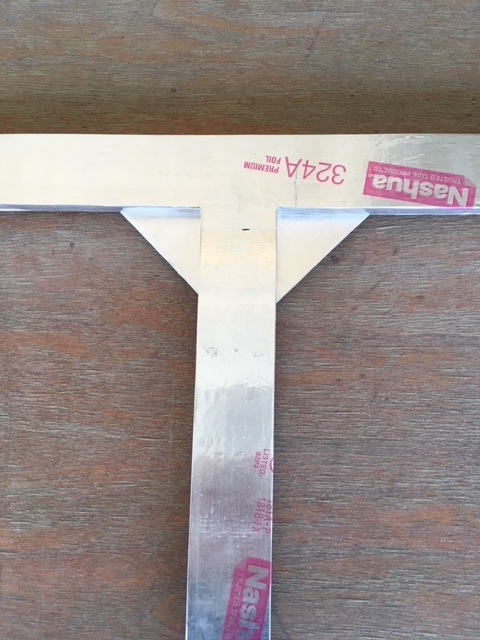 I was previously planning to use 7/16 inch aluminum screen frames; even felt confident using the regular spline after the last bake-test where I covered the spline and frame with foil tape. Plan was to have a screen frame in the bottom section, top section and the turnaround area - 2 layers = 6 frames in all. I priced it all out, and it came to a little over $100 + freight. Since this box is sort of 'on probation', I want to spend as little as possible on it, so came up with another new plan: The back frames will be made from 3/8 inch plywood, covered with foil tape and braced. The top frames will be made from 1x2's. This just leaves enough depth for a 1 3/8 inch screen gap. To simplify construction, each level will have only 2 screens, top and bottom. They will go all the way to the end of the turnaround. This leaves a 1-inch space between the upper and lower frames in the turnaround section, but I have a couple ideas for that. 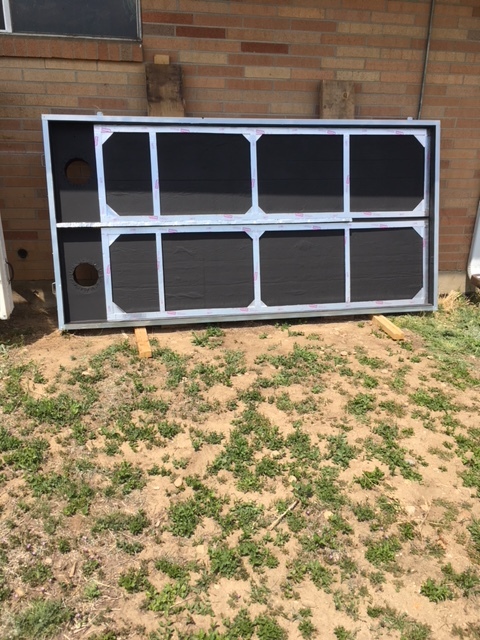 Next step is to paint the frames black, attach the screens (2 layers for the back frames), and lightly paint the screen. That will take a day with no wind, which today isn't. 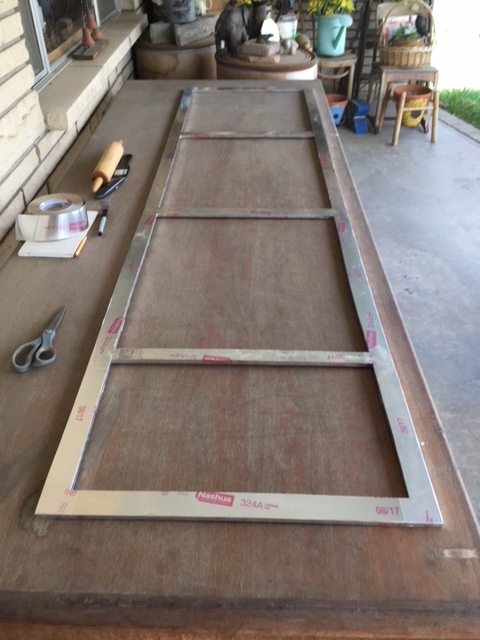 Hopefully the frame won't curl up like a potato chip when I tension the screen. Hoping it will be OK once it's fastened down inside the collector. 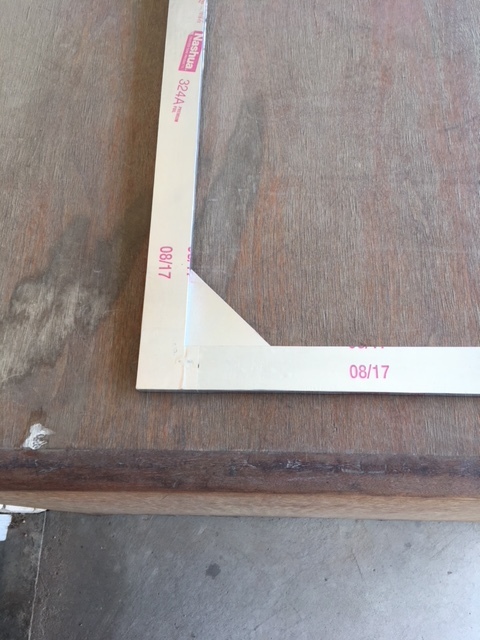 I think I can fit in a spacer with a strip of flashing to keep everything in-plane, or maybe staple in a strip of screen after the frames are fastened down, or maybe it isn't a real problem. I probably won't go to all the extra trouble with the front frames, since they will be made of 1x2's and should be a lot stronger. Before I get to that, I want to see if the back frames hold up with the screen attached. If this plan won't work, I may be back to aluminum frames, which are probably better anyway.